A lot of natural skin care ingredients you might already have in your kitchen, while some you will have to purchase from a health food store or a reputable company that sells natural ingredients for beauty recipes. Shopping online will give you the best selection and usually a cheaper price. Although there are many more natural skin care ingredients these are the most effective and most commonly used. Apples Apples are a natural cleanser that are usually used in facial masks. They are good for oily skin. Apricots Apricot is usually used for it's crushed seed in face and body scrubs. The fruit mashed up however also makes a good moisturizer. Aloe Vera This ingredient I think everyone is familiar with. Aloe vera is soothing, moisturizing and a plant everyone should have in their home. It is one of my favorite skin care ingredients. You can pretty much use in any skin care recipe because it is good for any skin condition. 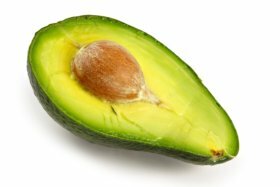 Avocado This is another ingredient everyone should have in their skin care routine. Avocado does everything. It soothes, renews, regenerates and heals skin. It is very good for aging or damaged skin and packed full of nutrients. Beeswax This is most often used as a thickener or solidifier in skin care recipes. Beeswax is an excellent way to seal moisture in to your skin while still allowing it to breathe naturally. This is one of the skin care ingredients you will use quite often when making lip balms and creams. Baking Soda Baking soda can level the ph balance in an acidic recipe and is usuall used in creams and lotions. Chamomile This flower is very soothing to irritated dry skin. Is excellent in creams and lotions. Calendula Calendula is good for people with sensitive skin. It has very good soothing and healing properties. Clay Cosmetics clays are most commonly used in facial masks. They are very useful in pulling dirt and toxins from deep within your skin. These clays are a mixture of powdered rocks that contain calcium, zinc, pottasium and magnesium. Cocoa Butter This is an excellent moisturizer that helps with skin's elasticity. It is also effective in preventing stretch marks. Coconut Milk This milk is used in scrubs, moisturizers and cleansers. It is a natural antiseptic but is an excellent gentle cleanser for sensitive skin. Coconut Oil Coconut oil is an excellent moisturizer and is also good for healing damaged skin. Very good ingredient for wrinkles and aging skin. Comfrey This is usually used in anti aging recipes because of it's healing and regenerating properties. Cucumber This astringent is of course very popular for dealing with puffy eyes. It is a good ingredient for anti wrinkle creams. Eggs Egg whites are most commonly used in masks to treat oily skin and acne. Egg yolk is good for moisturizing. Emu Oil This oil is excellent for skin care. It contains powerful antioxidants and is high in essential fatty acids. It's close in molecular structure to our own skin's oil and very easily absorbed. It can relieve the discomfort and help treat eczema, psoriasis and diaper rash. Geranium Oil This oil is an astringent and has excellent healing qualities. It soothes dry skin, and helps clear blemishes. Geranium oil is also good for cellulite. Grape Seed Oil An excellent oil for all skin types. It soothes moisturizes and absorbs very easily into skin. Green Tea This is an excellent antioxident and if used topically can reduce skin damage. Green tea is good for slowing down the signs of aging. Honey Honey is a good emulsifier and is used in masks, lotions and creams. It has antibacterial properties and is an excellent moisturizer. Very good for soothing healing and nourishing dry skin. health-benefits-of-honey.com . Janette runs a great site about the health benefits of honey and honey bees. She believes in the power of honey on the skin and has used this to heal Skin Infections with a great deal of success. I was quite amazed at what I learned about bees and honey and thought it was worth sharing so if you have time check it out! Jojoba Oil This oil is an excellent moisturizer. It is a waxy oil but goes on your skin very smoothly and does not build up. It is useful in acne and stretch mark recipes. Lemon Balm Lemon balm is is very good for soothing sensitive skin. Lavender Lavender is a favorite ingredient for many people who make their own skin care treatments. This is also a good skin balancer that reduces skin blemishes and moisturizes. It has healing properties and is helpful in healing sunburns. Marshmallow Root Good for softening skin and also heals and soothes. Milk This ingredient is an excellent cleanser and exfoliater all by itself. Lactic acid in milk helps regenerates skin and effectively reduces signs of aging. Mango Butter Another great moisturizer that is high in essential fatty acids and can be used all on it's own. Oats This is a great gentle moisturizer exfoliater and cleanser. Olive Oil This oil is an excellent moisturizer and has natural healing properties. Papaya This fruit is high in Vitamin C and beta carotene which can help prevent sun damage. It is also very nourishing to skin. Rosehip Buds Rosehip Buds are very high in essential fatty acids which regenerate and repair skin. Sandalwood This is very popular in skin care recipes. It moisturizes and heals dry rough damaged skin. Seaweed Seaweed is used in a lot of anti aging skin care products. It softens skin and helps it to retain moisture. Sweet Almond Oil An anti bacterial and anti inflammatory oil that is great for damaged or aging skin. Sea Salt Salts are used in scrubs to exfoliate and promote circulation to the skin. Shea Butter An excellent, excellent moisturizer. Very helpful with some conditions like eczema and psoriasis. Tea Tree Oil This oil soothes and regenerates skin. This is a good choice for acne prone skin. Vinegar Vinegar balances the ph balance of your skin and removes dead skin cells.Very useful in fighting acne. Vitamin E Vitamin E is an antioxidant and preservative. It also promotes healing and has very powerful anti aging properties. It promotes skin formation and protects. Wheat Germ Oil Wheat germ oil is high in antioxidants and Vitamin E. It helps retain moisture, improves elasticity and tightens and tones. It also promotes healing and can help treat eczema and psoriasis. As you can see there is no end to the different choices of natural skin care ingredients. You will come to know what your personal favorites are and what works best with your skin as you experiment with different recipes. Have fun and reap the benefits of beautiful skin! 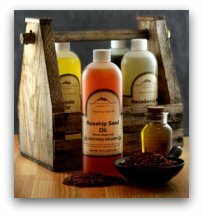 To purchase natural ingredients,or to just check out prices, click on any of the following quick links. © Copyright 2011-2013 My-Natural-Skin.com Disclaimer This site is for educational purposes only and is not intended as medical advise. Always consult your doctor before treating any skin condition.